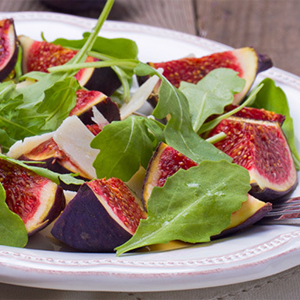 Figs add dimension and sweetness to this easy salad. 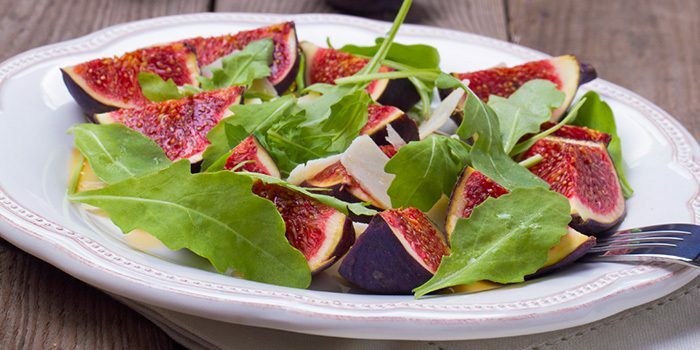 Serve this fig salad along side chicken breast or pork loin for a delicious meal. Combine oil, lemon juice, honey, garlic, salt, and pepper in small bowl; whisk to blend. Set aside. 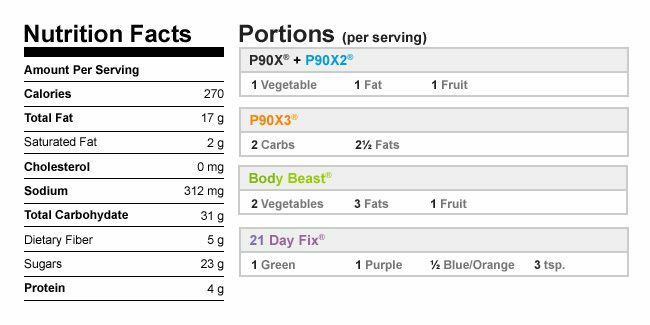 Combine greens, spinach, figs, and almonds in serving bowl. Drizzle with dressing; toss gently to blend. Serve immediately.